Ekk Albela traces the life of Bhagwan Abhaji Palav (Mangesh Desai) from 1930 to the making of his most famous and most successful film, Albela (1951), co-starring Geeta Bali (Vidya Balan). Biopics in India, more often than not, have a fundamental problem especially so if family members are involved and permissions etc need to be taken for the film. We end up creating flat characters who are too good to be true rather than deal with actual flesh and blood characters with frailties, uncertainties and short-comings of their own. This happens yet again with director Shekhar Sartandel’s Ekk Albela where Bhagwan’s son has helped out with the research for the film. Hollywood biopics like Ray or The Aviator work precisely because we see Ray Charles and Howard Hughes battling their inner demons as well. So in that sense we get into the mind of the characters as we try and understand them on a more human level. 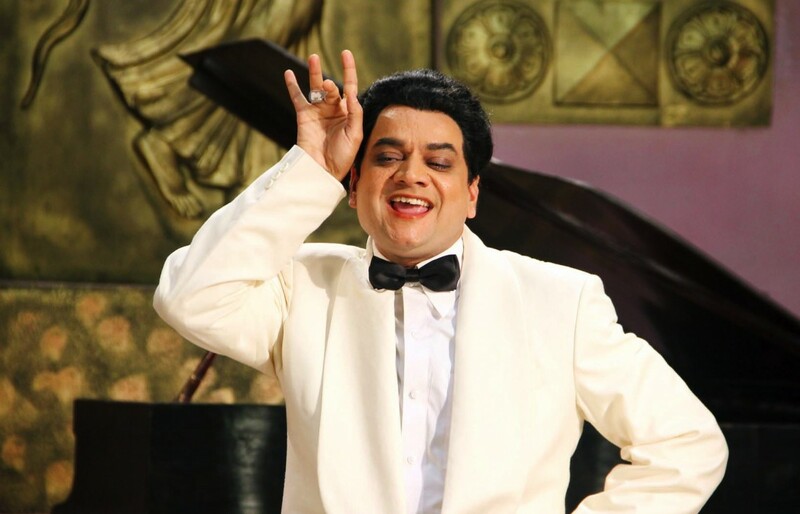 Ekk Albela fails in this respect though I concede that since most biopics today deal with just a certain chapter of its subject’s life (here more than half the film is centered around the making of Albela), it is that much more difficult to bring out the overall personality of the character. But still, we just don’t get into Bhagwan’s way of thinking beyond his overall determination to succeed. And since the film doesn’t touch on his subsequent failures like Jhamela (1953) and fall post the high of Albela, I am not going there either. A good biopic also works when information aside, there is enough drama, conflict and depth to the story to make for an engaging narrative. Ekk Albela falls short on all counts here ending up as little more than a superficial on-the-surface telling of Bhagwan’s story, barring some truly interesting tidbits about the man. In that sense, the film, managing to seamlessly blend the use of Hindi and Marathi, doesn’t succeed entirely to bring alive Bhagwan’s remarkable personality. The film traces his rise as a stunt actor of first silent then talkie films and subsequently as a director of B films, but one is intrigued, for instance, how did he direct the two Tamil films he did without knowing the language. His entry into films, success as an actor and director is admittedly informative as we realize that he made one of the earliest horror films in Hindi and even incorporated an early fist fight in Hindi cinema but it is all much too simple, convenient and easy. We see, for instance, him getting really beaten up in his first bit role, but not the incident when he slapped Lalita Pawar so hard in a film shoot that he damaged her eye permanently. We’re shown Bhagwan’s aptitude for dancing but we don’t see his flowering as a dancing star as well – an iconic dancing stye that was much aped by actors like Amitabh Bachchan later. While one appreciates the tremendous hard work gone into creating the period and filming of sequences from Bhagwan’s films, the treatment, however, is much too ‘filmi’ and loud, lacking finesse. The film is played out largely in clear black & white terms with the treatment of ‘villainous’ coughing distributor Chandubhai Mehta bordering on total caricature. One cannot help but recall Shyam Benegal’s classic Bhumika (1977) in contrast, where the protagonist’s off-screen life and on-screen life had a clear demarkation in treatment and style that worked so beautifully for the film even as it gave us a historic and social context of the era, also set mostly between the 1930s and ’50s. 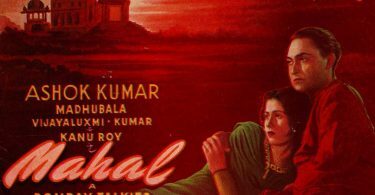 Ekk Albela, though admittedly having a few touching moments, lacks the subtlety, multi-layering and complexity of Bhumika. Still, old timers, classic Hindi cinema lovers and film historians might well have a nostalgic smile or two looking at the filming of some of Albela’s iconic scenes and the recreation of two of its most popular songs, Bholi Surat Dil Ke Khote and Shola Jo Bhadke, the last we find out with fighters doubling as dancers! But again, they do not add much to the dramatic flow of the film and take up too much screen time as they are used in totality. As it is, the big conflict regarding Albela’s release only kicks in when Albela is more or less complete with just a song left to film. We also don’t see enough of Bhagwan’s thought process behind developing Albela’s story or its cinematic treatment. On viewing it, I recall that amongst other things, it made fantastic use of dialogue as transitions between scenes consistently throughout the film but the cinematic achievements of the film barring its music are not even looked into. I have to sadly say that the film doesn’t do full justice to Albela either. Mangesh Desai does come alive in the film-within-film sequences and commendably, matches Bhagwan’s dance movements perfectly but is OTT in rest of the film, always ‘acting’ and clearly handicapped by the uni-dimensionality of his character. The casting of some of the characters like those playing music director C Ramchandra or fellow actor-producer-director Raj Kapoor work well enough. But the biggest let down for me was Vidya Balan. Even if her performance is more natural in tone than the rest of the cast, she looks much too bulky and old for the role and lacks the impishness and vivaciousness that a 21 year old Geeta Bali brought not just to Albela, but to her other films as well. With its obvious treatment, there is not much to write about the technicalities. On the musical side, it would have been nicer to hear the original recordings of Albela’s songs sung so memorably by Lata Mangeshkar and C Ramchandra himself rather than their re-recordings but one suspects maybe it is something to do with the rights issue here. The less said about the ever present background score the better. In terms of production design, it is interesting to see actual song booklets and posters from Bhagwan’s films used in the film. No doubt, Ekk Albela holds its protagonist in great reverence. It fails, however, to give him and his filmic legacy the true cinematic tribute he deserved.